The leadership at Northumberland County Council has highlighted the new £30million Morpeth Bypass and how it will benefit the Port of Blyth, as it sets out the reasons behind its £380million spending programme. The bypass forms part of the capital investment in the council’s 2017/18 budget and financial plan for the period up to 2020. The 3.8km link road, which is set to fully open in the next few weeks, will cut transport times for residents and businesses across the county, while reducing traffic and congestion in the centre of Morpeth, especially during the peak rush hour travel times. By improving the road network and reducing travel times across the county, linking in Blyth and Ashington to the existing network, the road will also bring an economic boost, bringing additional investment into the area and contributing to the regeneration of south Northumberland. Martin Lawlor, chief executive of Port of Blyth, said: “Northumberland County Council’s investment into the new Morpeth Bypass will mean much easier and quicker access to the A1 for the wide range of cargoes passing through the port, bringing benefits to ourselves and our customers. Council leader Grant Davey said: “Our annual budget report makes it clear that we are thinking differently for these different times. On top of the funding reductions already passed down from central Government, we’re facing further cuts of £36million over the next three years – with £6 million to come next year. Despite these very challenging circumstances, we are determined to do the very best for our county. “Our investments, such as the new Morpeth Bypass, will contribute to economic growth and regeneration as well as, in this case, bring a huge benefit to businesses across the county that rely on our road network, such as Port of Blyth. In addition, residents of Morpeth stand to benefit from reduced traffic in the town and quicker access to the A1. However, at last week’s meeting of the council’s cabinet, Conservative group leader, Coun Peter Jackson, said: “The big thing is the massive expansion in the capital programme. There are things in there that have cross-party support (such as reopening the Ashington, Blyth and Tyne line and creating new car parks). “But it seems to be that they’re part of a long list of election promises. There’s no details on any of these projects. It’s been expressed to me by members of the public that they doubt any will actually be delivered. Lib Dem leader, Coun Jeff Reid, was also wary of the ‘direction of the capital programme’, although he conceded that ‘all of us know we are between a rock and a hard place’ and ‘whatever we do is going to be difficult’. “Saving £6million this year and pushing the rest (£20million next year) after the election is unfortunate,” he added. Elsewhere in south-east Northumberland, the county council is also investing £5million in support of the Ashington-Blyth-Tyne rail line, which will see the opening of new stations and additional passenger trains by 2021. 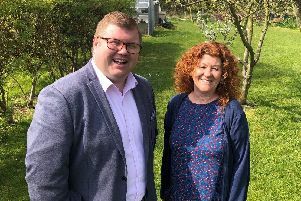 The council is also investing £2.8million in developing 26 affordable living bungalows in Blyth that are accessible to people with disabilities and incorporate dementia-friendly designs, while Blyth and Ashington both stand to benefit from ongoing investment into leisure facilities and public parks.